The adult world can be a frustrating place. 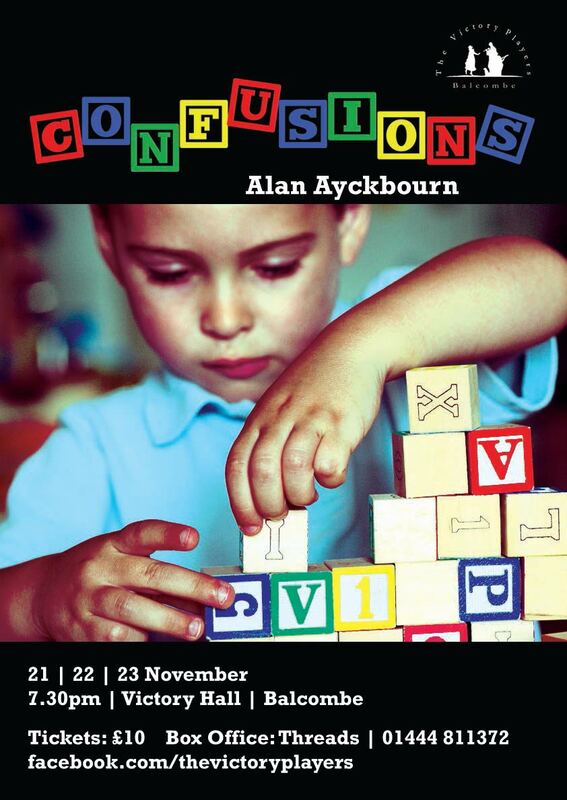 Alan Ayckbourn understands this and so do The Victory Players if Saturday night’s performance of Confusions is anything to go by. The play, which was published in 1974, consists of five loosely interconnected one-act plays, which use farce, realism and slapstick to explore a collection of lonely and perplexed characters. The Victory Players offered an energetic version of the show, full of very amusing performances. The first play, Mother Figure, was probably the silliest of the evening. Confusions seemed an accurate title as the segment began with two neighbours visiting the odd stay-at-home mum Lucy (Rachel Bishop). It took a while for the audience to realise that Lucy was treating the two neighbours like children, but once the joke was firmly established it resulted in huge laughs. Nancy Towers and Botts Bottomley were very funny as the two neighbours who ended up squabbling like kids thanks to Lucy’s treatment. The second play, Drinking Companions, involved a man called Harry (Jon Hunt) trying to chat up two women (Catherine Nixon and Nicola Preston Bell) and had a more observational style. Jon Hunt was particularly good. His character’s cringe worthy attempts at luring the women into his hotel room were excruciating to watch as he became increasingly drunk and desperate. The third play, Between Mouthfuls, made clever use of sound as a waiter moved between two sets of bickering couples at separate tables. The audience seemed to hear what the waiter heard as the sound switched between the tables, as the actors took turns talking and miming in a way that was skilful and well timed. Gosforth’s Fete was probably the most farcical play, showing the preparations for a disastrous community event. Ronnie Whitehead, who played Stewart, managed to portray a character that the audience could laugh at while feeling sorry for at the same time and Isabel Gordon handled the ludicrous slapstick well as Councillor Mrs Pearce. However, it was Jim Knight as the Vicar who got the best response from the audience. The final play, A Talk In The Park, took a more serious turn and seemed to sum up the theme of the production. Five characters sat in a park, each desiring to tell their problems to another person, but unwilling to hear anyone else’s problems in return. It started out light but ended on a surprisingly sombre note as one of the characters observed: “Might as well talk to yourself.” Overall, this production stayed true to the spirit of Ayckbourn’s script. However, The Victory Players did make one noticeable change to the original text by having the off-stage children in the first scene become figures who linked the plays together. 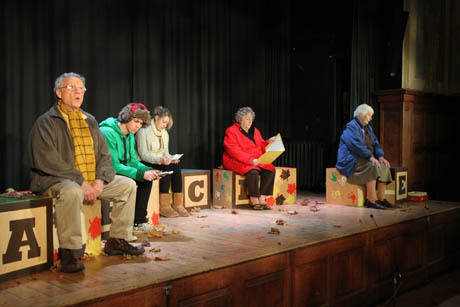 The children provided sound effects and scattered specific props around the set but their presence seemed to add a more important element to the play, as well. The bickering, desperation and occasional stupidity of the adult characters looked even more ridiculous with the children watching by the side of the stage. They seemed to ask an important question: do people ever really grow up? Review by Lawrence Smith, courtesy of The Mid-Sussex Times.